Le poisson est mort, vive le poisson! Maximus appears to have departed. Taken leave. Gone AWOL. That’s odd. Cos I heard she had gone to join John Key’s team, to boost the blogosphere of the Prime Minister. 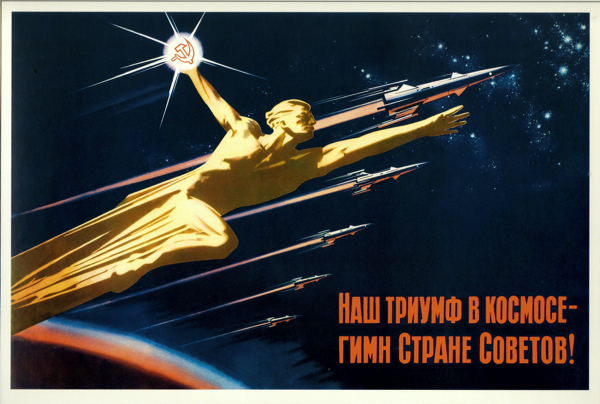 Our truimph in space – the national anthem of the Soviets? …Maximus… to infinity, and Beyond ! if you need more commentators, anonymous or not, you should encourage ‘the beard’ to make a return? The “beard” is not available. We have tried…. While we are on the subject, Tom Beard has been continually harassed over the last several years, being accused of being the writer Maximus. He is not, and never has been, Maximus. In other news, Wellington has just been added to the Rockefeller Foundation’s ‘100 Resilient Cities’ list. So not just glad-handing and lip service, although I’m sure there will be that in spades over the next couple of weeks from the politicians involved. At least it is a step in the right direction and something positive being done for the city and it citizens.